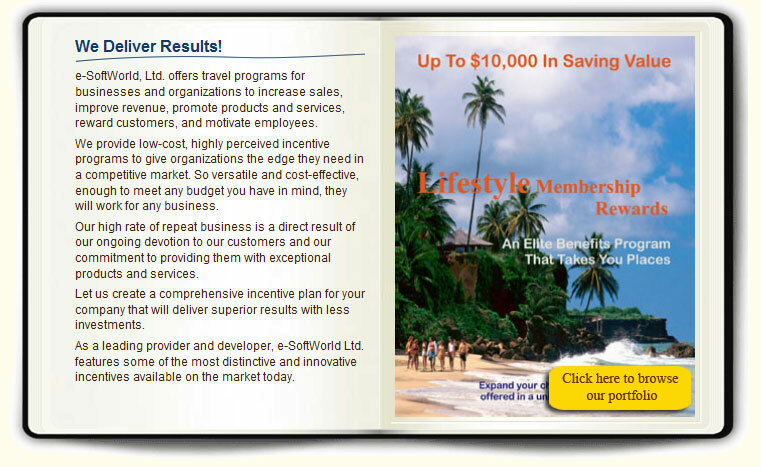 Travel certificates, marketing incentives, promotion giveaways, advertising premiums for direct mail campaigns. SUBSCRIBE TODAY for Product Updates and a real chance to Win a Bahamas Cruise Certificate for Two with saving value of $500. NEW: A website Pop-Up with a gift for FREE with a 400 Multiple Resort Certificate purchase. Limited time offer. No time? Try a short vacation with over 62 locations available like Las Vegas, Orlando, Los Angeles and many more. Enjoy 7 nights of Luxury Resort accommodations at over 3000 resorts Worldwide. LIMITED TIME OFFER: BUY 100 DIGITAL CERTIFICATES AND RECEIVE 10 CERTIFICATES ABSOLUTELY FREE. Digital certificates works the same like the paper certificate. The advantage is that you can email to your customer without spending money on mail them. You purchase one PDF certificate and custom codes for the end user to enter on our redeem side. Great Marketing Incentives for less Try it now when on sale.